Myra Maybelle Shirley–a/k/a Belle Starr–the way she looked when she lived in Carthage, Missouri. From my photo collection. Original source unknown. Of the cast of characters emerging from the 1880 John Bass Jones grand jury murder investigation in Jasper Co., Missouri, one person stands out as an interesting question mark, inviting further examination. As I read through the Carthage Banner story appearing in Part 1 of this article, I wondered about Mrs. Ady and the extent of her involvement in the matter. Judging from the newspaper article, Mrs. Ady changed her testimony considerably between the time of the coroner’s inquest in 1867 and the grand jury investigation in 1880. Not only did her testimony change drastically, but her name appears in several households in the area throughout the period. After piecing the sections of her testimony together and comparing her testimony with available marriage, census, tax and death records, I finally came up with an answer to the question Who was Mrs. Ady? Elizabeth A. Foster was born in November 1840 to Jarrett Foster (1795/1800-aft. 1875) and Dorcas Moseley (1803-aft. Aug. 8, 1865) in Bradley Co., Tennessee. She was born with a pedigree chart extending back to the Kings and Queens of England, with elements of Scarlet O’Hara (Gone With the Wind), Ashton Maine Huntoon (The North and the South), and Kate Trask (East of Eden) in her character. Her parents were born in South Carolina and lived in Union County. The family also had ties extending back to Goochland Co., Virginia, inhabited by the Spencer, Toney and Jones families, whose descendants later settled in Jasper Co., Missouri. John Foster, (b. 1823, South Carolina; m. Jane [Surname Unknown] Feb. 9, 1860, Jasper Co., Missouri; d. aft. 1870, Jasper Co., Missouri.) A boy with an unknown name (b. 1825, South Carolina). Lucinda Foster (b. 1828, Tennessee). [No additional information.] Sarah Foster (b. 1830, Tennessee). [No additional information.] Martha Foster (b. 1836, Tennessee). [No additional information.] Elizabeth Foster (b. 1839/40, Tennessee). [Subject of this article]. Andrew J. Foster (b. Feb. 15, 1842, East Tennessee; m. Anna C. 1873; d. 1928, State Soldiers Home, Orting, Washington). Francis Marion Foster (b. Jan. 1846, Arkansas; m. Emily Jane Coffelt Aug. 5, 1866, Jasper Co., Missouri; d. February 7, 1928, Joplin, Missouri.). Jarrett Foster, age 55, engaged in farming, b. South Carolina Dorcas Foster, age 49, b. South Carolina (person over 20 unable to read or write) Lucinda J. Foster, age 22, b. Tennessee (reading/writing column left blank) Sarah Foster, age 20, b. Tennessee (attending school) Martha E. Foster, age 14, b. Tennessee (attending school) Elizabeth Foster, age 10, b. Tennessee (attending school) Andrew J. Foster, age 8, b. Tennessee (attending school) Francis M. Foster, age 4, b. Tennessee. John Shirley, age 54, engaged in farming, b. Virginia Eliza Shirley, age 49, b. Virginia; Charlotte A. Shirley, age 12, b. Indiana; John A. M. Shirley, age 8, b. Missouri; Myra Shirley, age 2, b. Missouri; Benton Shirley, age 9 mos., b. Missouri. 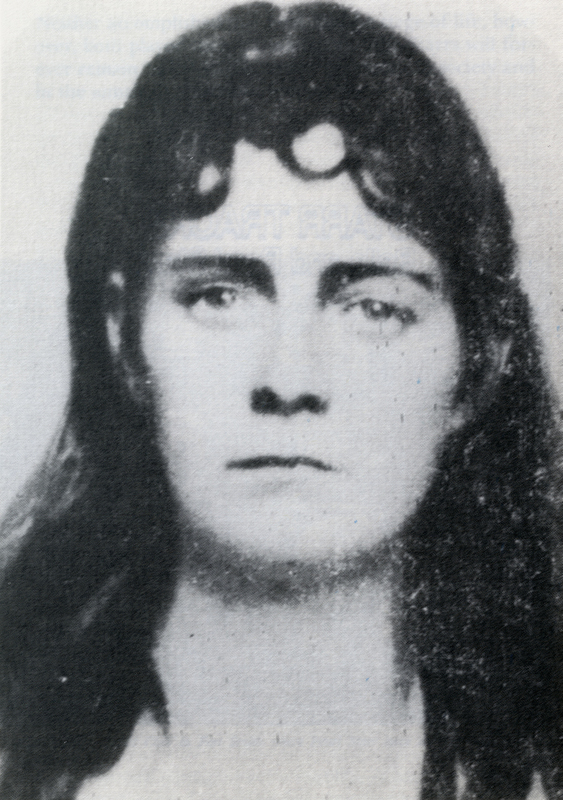 Myra Maybelle Shirley grew up to become the Bandit Queen– Belle Starr. John Shirley has often been labeled the “black sheep” of the family who eventually moved to Indiana and married and divorced twice in that state. His third wife, Eliza Pennington-sometimes referred to as Eliza Hatfield-came from the Hatfield-McCoy vendetta in West Virginia and Kentucky. They were married May 29, 1837 in Green Tp., Grant Co., Indiana. According to the Walters Family Tree at Ancestry.com, John Shirley’s oldest son was Preston Raymond Shirley, and he was born to John and his first wife, Nancy Fowler. John and his first wife were married April 6, 1818 in Clark Co., Indiana. John’s second wife was Fannie, whom he married in 1829. Preston married Mary A. Chelson on May 26, 1847, Jasper Co., Missouri and appears on the 1850 Census in a separate household in District 41. Undoubtedly, the two families knew each other. The Foster and Shirley parents were in the same age group and came from the same region of the country. Martha and Elizabeth Foster may have associated with Charlotte Shirley and probably with Myra Maybelle as well. Despite John Shirley’s tendency toward the wild side, the Shirley line in Virginia extends back to some of the finest families in the region. Shirley and Foster ancestors intermarried over the years, so the girls were possibly distant cousins. At first, Myra Belle lived the life of a spoiled, rich girl, attending the Carthage Female Academy, where in addition to the basics, she was taught music and classical languages. She was a bright student, with polite manners, and a talent for playing the piano. However, she also liked to flaunt her status a “rich girl” and liked having an audience. She also loved the outdoors, where she spent many a day roaming the countryside with her older brother Bud, who taught her how to ride a horse and handle a gun . I remember reading an old newspaper account about Belle Starr years ago in The Cedar Rapids Gazette stating that the outlaws and bushwhackers who later frequented her father’s establishment taught her how to curse and swear! I may still have that article in an old scrapbook. The balance of the 1850s passed quietly for these people. Then came the 1860s. The 1860 Census for Jasper Co., Missouri shows the Jarrett Foster family still residing in Marion Tp., Jasper Co., Missouri (located north of Carthage), but with fewer members: 60 year-old Jarrett Foster; 57 year-old Dorcas; 19 year-old Elizabeth; 18 year-old Andrew J.; and, 14 year-old Francis M. The other children are gone, whether through marriage or death. The listing for the John Shirley family shows 66 year-old John Shirley; 45 year-old Eliza; 18 year-old Allison; 12 year-old Myra; 11 year-old Edwin; 8 year-old Mansfield; and, 2 year-old Cravens. The John Shirley Census record is dated June 28, 1860 while the Jarrett Foster Census record is dated July 3, 1860. But these two census records aren’t the only important records for 1860. 1860 was a banner year for marriages in the Foster family. Jeremiah Foster to Sarah Jane Keith. April 13, 1860. [As yet I do not know the relationship between Jeremiah Foster and Jarrett Foster. Thus began a new chapter in the life of Elizabeth Foster Jones. A son of Lewis Jones and Milly Catherine Spence Jones, John David Jones was born in 1827 in Davidson Co., Tennessee. John David Jones and John Bass Jones were first cousins [See Part 1 of this article.] The Lewis Jones Family and the Daniel Spence Family left Tennessee for Jasper Co., Missouri in 1836. Daniel’s oldest brother, Samuel, followed them there the following year in 1837. In 1840, Samuel and Elizabeth Inman Spence donated land for the first church building in Southwest Missouri. Located at Moss Springs, the land became the location of the Freedom Baptist Church and a cemetery called Moss Springs. The church was organized in May 1840 and operated until it was disbanded in 1880. While the old church building was torn down in the late 1800s, the cemetery still exists and is currently well maintained. John Jones, who is listed on this monument, was the father of John Bass Jones. James Jones and Lewis Jones–the husband of Milly Catherine Spence–were brothers. John D. Jones, age 22, born in Tennessee Milly Jones, age 48, born in North Carolina. (She was the widow of Lewis Jones and mother of John.) Nancy J, age 18, born in Tennessee. (Milly’s daughter and John D.’s sister) James R., age 15, born in Tennessee. (Milly’s son and John D.’s brother). [Milly Spence Jones was a person over 20 who could not read or write. The others were able to do so]. Milly Jones, age 58 John D. Jones, age 31 James R. Jones, age 25 John L. Jones, age 14, b. Missouri George W. Jones, age 12, b. Missouri Laurlin Jones, age 7, b. Missouri Daniel Gill, age 19, b. Tennessee Norris F. Hood, age 28, b. Tennessee Nancy J. Hood, age 28, b. Tennessee Laura E. Hood, age 3, b. Missouri Alice A. Hood, age 3, b. Missouri Charles A. Hood, age 1, b. Missouri. Milly Jones’ house became a sea of activity. Her daughter, Nancy, married Norris F. Hood, and the Hood children were theirs. Daniel Gill was a son of Michael and Rhoda Spence Gill (Rhoda was Milly’s sister). John L. Jones (age 14), George W. Jones (age 12), and Lurlin Jones (age 7), all born in Missouri, came from one of the Jones families in the area, but as yet, I haven’t identified that family. John D. Jones and Elizabeth Foster married December 20, 1860, and one more person entered the household. Then the Civil War erupted the following year, rendering a permanent impact on the lives of these people. “Brig. Gen. Nathaniel Lyon had chased Governor Claiborne Jackson and approximately 4,000 State Militia from the State Capital at Jefferson City and from Boonville, and pursued them. Col. Franz Sigel led another force of about 1,000 into southwest Missouri in search of the governor and his loyal troops. “Upon learning that Sigel had encamped at Carthage, on the night of July 4, Jackson took command of the troops with him and formulated a plan to attack the much smaller Union force. The next morning, Jackson closed up to Sigel, established a battle line on a ridge ten miles north of Carthage, and induced Sigel to attack him. “Opening with artillery fire, Sigel closed to the attack. Seeing a large Confederate force-actually unarmed recruits-moving into the woods on his left, he feared that they would turn his flank. He withdrew. The Confederates pursued, but Sigel conducted a successful rearguard action. Estimated Casualties: 244 total (US 44; CSA 200) (From the Awesome Stories Website). Brig. Gen. Nathaniel Lyon’s Army of the West was camped at Springfield, Missouri, with Confederate troops under the commands of Brig. Gen. Benjamin McCulloch approaching. On August 9, both sides formulated plans to attack the other. At about 5:00 a.m. on August 10, Lyon, in two columns commanded by himself and Col. Franz Sigel, attacked the Confederates on Wilson’s Creek about 12 miles (19 km) southwest of Springfield. Rebel cavalry received the first blow and fell back away from Bloody Hill. Confederate forces soon rushed up and stabilized their positions. The Confederates attacked the Union forces three times that day but failed to break through the Union line. When General Lyon was killed during the battle and General Sweeny wounded, Major Samuel D. Sturgis assumed command. Meanwhile, the Confederates had routed Sigel’s column, south of Skegg’s Branch. Following the third Confederate attack, which ended at 11:00 a.m., the Confederates withdrew. Sturgis realized, however, that his men were exhausted and his ammunition was low, so he ordered a retreat to Springfield. The Confederates were too disorganized and ill-equipped to pursue. This Confederate victory buoyed southern sympathizers in Missouri and served as a springboard for a bold thrust north that carried Price and his Missouri State Guard as far as Lexington. In late October, a rump convention, convened by Governor Claiborne Fox Jackson, met in Neosho and passed out an ordinance of secession. Wilson’s Creek, the most significant 1861 battle in Missouri, gave the Confederates control of southwestern Missouri. (From CWSAC Battle Summaries Website, The American Battlefield Protection Program, Heritage Preservation Services, Available online at http://www.cr.nps.gov/hps/abpp/battles/mo004.htm. The Battle of Pea Ridge (also known as Elkhorn Tavern) was a land battle of the American Civil War, fought on March 6-8, 1862, at Pea Ridge in northwest Arkansas, near Garfield. In the battle, Union forces led by Brig. Gen. Samuel R. Curtis defeated Confederate troops under Maj. Gen. Earl Van Dorn. The outcome of the battle essentially cemented Union control of Missouri. The battle was one of the few during the war in which a Confederate army outnumbered its Union opponent. Frank James was sick with the measles in Springfield, Missouri, where he was taken prisoner by the Union Army. At that stage in the war, both sides waited until they had a certain number of prisoners. Then they would exchange them. Frank James signed a promise not to fight any more. Perhaps he had his fingers crossed. The people of Jasper Co., Missouri were caught up in the middle of the conflict, and feelings ran high. Families were divided in their allegiances. Bushwhacker activity was high in the area, targeting their attacks on Union sympathizers. There are many unmarked graves in the Moss Springs Cemetery of people who were killed during this time-a practice followed to keep enemies from digging up the graves and dumping bodies on top of the ground, or hauling them off to let them rot in a field. Western Missouri was a scene of constant conflict during the Civil War. Highway 71, which runs north and south from Kansas City through Carthage to the Arkansas border, saw constant movement of Confederate troops while Highway 69 on the Kansas side-running north and south between Kansas City, Kansas and Fort Scott, Kansas down to the Oklahoma border–witnessed similar activity involving Union troops. John Shirley’s hotel in Carthage became a gathering point for Quantrill’s men. Shirley’s association with Clay County personalities dated back to the early 1850s when his name appeared on a deed in a land transaction involving Harry W. Younger (Henry [Harry] Washington Younger)-the father of Cole Younger-for 160 acres of land in Jasper County. Shirley was Younger’s assignee in that transaction, which was dated June 1, 1850. In addition, John Shirley’s son, John (“Bud”) Alexander Shirley, and his future son-in-law James C. Reed both served with Quantrill. Bud was a captain in the outfit. Myra Maybelle Shirley (the future Belle Starr) assisted Quantrill by informing the guerillas of Union troop movements. The Shirley family was closely tied to the James and Younger families of Clay County. The Reed family lived in Bates and Vernon Counties, north of Jasper County. The Quantrill raid and massacre at Lawrence, Kansas occurred August 21, 1863. Four days later, Order No. 11 was issued by Gen. Thomas Ewing on August 25. This order impacted the lives of southern sympathizers in four western Missouri counties: Bates, Cass, Jackson and Vernon. The Order mandated that all non-Union sympathizers be expelled from the county and ordered their homes burned. Many innocent people who were not involved in guerilla activities were impacted by this order. In addition, many of the enforcers were Kansas volunteers who were not especially fond of Missourians. Expelling pro-Southerners from the four counties greatly impacted neighboring counties and other areas throughout the region. And violence continued. In 1864, the John Shirley family fled to Sycene, Texas shortly before Carthage was burned, a fire that destroyed his enterprise. John Shirley’s guerilla-fighting son “Bud” was killed in Sarcoxie that same year . The Samuel Spence family was divided during the Civil War. Some pro-Union members of the family relocated to safer areas in Kansas for the duration of the war (Lazarus Spence and William David Spence–my second great-grandfather, for example). The pro-Southern side of the family split into two groups. The earliest group to leave Missouri settled in Benton Co., Arkansas while the rest of the family remained in Jasper County until they were no longer safe there. Then they fled to Grayson Co., Texas. Some of them remained in Grayson County, while others eventually relocated to Washington Co., Arkansas. One of Samuel’s sons, Newton Jasper Spence (1841-1882), fought with the Confederate Army at Helena, Arkansas, where he was wounded and taken prisoner. He was placed in Alton Prison in Illinois, and was later transferred to Fort Delaware. When he was finally paroled at the end of the war, he did not return to Jasper County. His life was in danger there. So he settled in Oklahoma, married and raised his family there. The John David Jones family appears to have remained in Jasper County as long as they could. John and Elizabeth’s first child-a son-Thomas A. Jones-was born in 1862. A daughter-Hettie-was born in 1864. William H. Jones was born in 1866. 1880 Census records indicate that all three of these children were born in Missouri. In all likelihood, the family was largely pro-Southern, although they didn’t engage in guerilla activities. If they were forced to leave, they would have relocated to Benton Co., Arkansas (where a number of John’s Joneses had already settled). The John David Jones family members were all at home the Spring of 1867 when John Bass Jones arrived in Jasper County and stayed with them. John Bass Jones was shot and killed early in the morning of April 17-a case that is still a mystery. Family members all participated in the coroner’s inquest in 1867, but no charges were filed at that time. There was not enough evidence to charge anyone. The Joneses remained in Jasper County and then on September 28, 1870, John David Jones died. He is buried in the Moss Springs Cemetery in the same row with John Bass Jones. The prospects for a widow in the late nineteenth century were few and far between. Elizabeth Foster Jones was 29 years old when her husband died. She was also pregnant with their fourth child. John Charles Jones was born January 27, 1871 in Fidelity, Jasper Co., Missouri. Elizabeth probably took stock of her life and her options during this period of time. She did not look forward to staying on the farm with a house full of in-laws. And there had to be more excitement in life than cleaning, cooking, and having babies. At some point, she made the determination to leave her children with her mother-in-law and visit her family in Kansas for a while. No doubt she told the Joneses that she might be gone for a month or two. She needed to get away for a while. So she left Jasper County and joined her family in Westralia, Montgomery Co., Kansas. “But, when the two moved to Missouri, Reed was a wanted man, allegedly for murdering a man named Shannon. The two fled to California with their young daughter Pearl and before long a second child came along who they named Edward. In 1869 Belle, Reed and two other outlaws rode to the North Canadian river country, where they tortured an old Creek Indian until he told them where he had hidden $30,000 in gold. With their share of the loot, Jim and Belle returned to Texas, where she played the role of “Bandit Queen” to the hilt”. When Elizabeth began hearing stories concerning the activities of her childhood acquaintance, she no doubt fantasized about those stories. Belle was leading a dangerous lifestyle but to Elizabeth, that lifestyle was more preferable to her own allotment in life. In her testimony given at the 1880 grand jury investigation into the death of John Bass Jones, Elizabeth Ady claims to have married William Spencer after the death of her husband, John David Jones -then “dumped” him and went to Galena, Kansas, where she lived on Red Hot Street, where she supposedly met A. J. Ady. I have yet to find a license for her marriage to either A. J. Ady or to William Spencer, so I don’t know where or exactly when they were married. And the town of Galena, Kansas did not “boom” until lead was discovered there in 1877. A problem exists with the timeline of her testimony. After piecing together census records, tax records and the births of her children, I may have found some of the answers. Elizabeth no doubt divided her time between Jasper Co., Missouri-where her children were staying– and Montgomery Co., Kansas-where her family members lived. By 1873, she met A. J. Ady in Kansas. How or where is open to speculation. According to the 1850 Census for Geneva, Jennings, Indiana, Andrew J. Ady was born in Ohio about 1842 to Loyd and Elizabeth M. Ady. The household includes: Loyd Ady (age 38); Elizabeth M. Ady (age 30); Loyd L. D. Ady (age 10); Andrew J. Ady (age 8); Nancy A. Ady (age 6); Isaac S. B. Ady (age 3); Lucinda Ady (age 1); Lovina C. Fola (age 19); Samuel Fola (age 3); William H. Fola (age 1) . In 1862, Andrew J. Ady (spelled Adye) appears on the tax list for District 2, Bridgeport, Indiana as a retail liquor dealer. By 1865, he was in Clarke Tp., in District 2, Indiana, where he is listed as a retail dealer, and he is taxed for a carriage, a gold watch, and he is also taxed for his income. In 1866, he is listed in Adyville, Indiana and is taxed as a retail dealer who has a carriage and a gold watch. In December 1866, he had moved to Illinois, where he was taxed for keeping a stallion. He next appears on the March 1, 1875 tax records for Wild Cat, Howard Co., Kansas with a wife and a daughter. When analyzed, this record becomes quite interesting and invites further speculation. Andrew Ady no doubt arrived in Kansas as a whisky drummer. If Elizabeth Foster Jones was really looking for a life style similar to that of her old acquaintance (Belle Shirley), she may have started seeking companionship in nearby towns. She kept a low profile as she didn’t want to alert her family to her new enterprise. A flashy drummer with a line of gab, a stylish carriage, a stallion and a gold watch would have captured her interest almost immediately. I doubt there was much of a courtship. She would have married him immediately and sent word back to Missouri that she had remarried. No doubt she planned to return for her children as soon as possible. In all likelihood, she did not tell A.J. about the children from her first marriage. Before she knew it, she was expecting. A. J. settled down in Howard County to become a farmer-something Elizabeth didn’t plan on or like. Their daughter (whose name is known only by the initials M.E.) was born in 1874 and was one year old by the 1875 tax record. Elizabeth appears to have been creative with her information on that tax record. It’s possible that she never used her real name with A.J. She knew that he had lived in Indiana, so she gave Decatur Co., Indiana as her place of birth. (She really didn’t want to advertise the fact that she was born in Tennessee while living in Kansas!) She also made herself 10 years younger when giving her age, claiming to have been born about 1853. And she is listed only as Mrs. A. J. Ady. The other females on the page list a regular full first name, or else they use their own initials . The little daughter whose name is only listed as M.E. must have died within the year. She is not listed after that record. And in 1875, Elizabeth discovered that she was pregnant again. I doubt she shared this news with her husband. She was not happy living on the farm with A. J. Ady, and she wanted to return to Missouri where her children were living. She knew that Milly Catherine Spence Jones was aging, and she felt a desperate need to get back there. She managed to slip away at the first opportune moment and may have obtained her brother’s help in returning to Missouri. Her son, Earl E. Jones, was born in 1875 or 1876, probably after her return to Missouri. I can only imagine the story that she told the Jasper County people-that she had married a man named Jones in Kansas, and that he had died or disappeared. She did not share the Ady name with the Jasper County people at that time. But she was identified as Mrs. A. J. Ady during the April 1880 Grand Jury investigation. A Mr. Ady supposedly accompanied her from Kansas. She may have returned to Kansas, reunited with A. J. Ady, and then returned to Missouri with him for the hearing. After the hearing was over, she left him again for good and returned to Missouri. And there is another possibility: she may have been living with another man who returned to Missouri with her, posing as A. J. Ady! Meanwhile, back in Kansas, Andrew J. Ady had no idea what happened to his wife on either occasion. After the second time, he finally gave up looking for her. 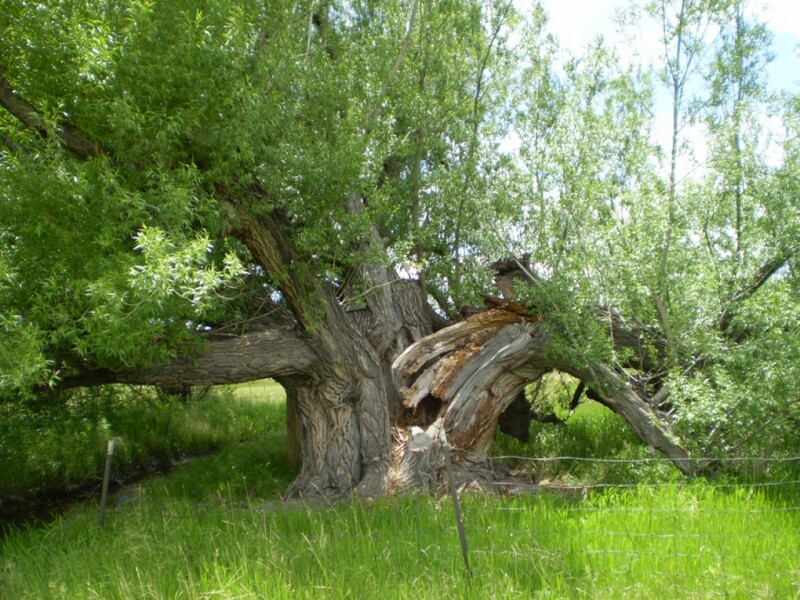 By 1885, he is shown on the tax list for Boulder Co., Colorado-single-where he is listed as a miner. But he later remarried By 1895, he appears on the tax list for Richland Tp., Gray Co., Kansas. His wife Amelia was from Germany The family appears on the 1900 Census for Hess Tp., Gray Co., Kansas (located in southwest Kansas) as follows: Andrew J. Ady (spelled Aday) (b. April 1842, Ohio); Amelia M. (b. October 1860, Germany); Esther H. (b. July 1891, Kansas); Lafayette J. (b. Dec. 1893, Kansas); Cora B. (b. April 1898, Kansas); Dora A. (b. April 1898, Kansas) . Andrew J. Ady died between that 1900 Census and the 1920 Census, probably in Whatcom County, Washington. Amelia last appears on the 1920 census for Whatcom Co., Washington as a widow living with Esther and Lafayette. Milly Catherine Spence Jones died either shortly before or shortly after Elizabeth’s first return to Jasper County. I have found two dates of death for her. One is November 30, 1875. The other is March 1876. Either way, Elizabeth arrived just in time to reclaim her children from her first marriage. She wasn’t in Jasper County for very long before realizing that she was in another predicament. She now had five children and no place where any of them could live. That’s when she turned her attention to William Spencer. William Spencer had been living in Jasper Co., Missouri since the 1840s. Elizabeth would have remembered him from childhood. By 1875/1876, she was ready to settle down for a while and become reacquainted with her children. More than anything else, however, she wanted a new last name. She probably used the Jones name when she returned to Jasper County. She didn’t dare use the Ady name for fear A.J. Ady would find her. And she decided that Spencer would suit her just fine. After all, Spencer was a fine old name. William Spencer was born May 4, 1817 in Hardin Co., Kentucky to Sharp Spencer (1770-1834) and Jenny Trigger Crady (1790-1844). His grandparents were John Spencer (1732-1789) and Rosanna Graves/Greaves (1735-1782). This is the same Graves/Greaves line I am descended from. Rosanna Graves/Greaves is my 1st cousin 7xs removed. Her father was Thomas Greaves/Graves (1691-1767), and her grandfather was John Greaves/Graves, Sr. (1665-1747)–my 7th great-grandfather. I descend from him through his daughter, Elizabeth Greaves (1707-1755) and her husband James Spence (1702-1753)–my sixth great-grandparents!. So that explains the cousin relationship between the Jasper County, Missouri Spences and William Spencer! In addition, there is a connection between this Spencer line with John Spencer (b. 1788) and his second wife Rachel Key (b. 1805). Rachel was the sister of Lucy Key–Adeline Elizabeth Bryant Spence’s mother–and John Spencer was the half brother of William Spencer, under discussion here!. John was the son of Sharp Spencer and his first wife Martha Elizabeth Crenshaw (1772-1809). As yet, I haven’t determined how this Spencer line connects with mine through Elisha Spence’s first wife Susanna Spencer. That is something I’m still working on. But according to the Ancestry calculator, William Spencer is my 3rd cousin 5xs removed on the Greaves line! James Harvey Spencer 1832 – 1921 Mary Catherine SPENCER 1837 – 1912 Dorcas Tabitha Spencer 1841 – 1918 John M SPENCER 1841 – John Norris Spencer 1843 – Minerva J Spencer 1844 – William D SPENCER 1845 – Millie Emoline Spencer 1851 – 1916 Ananias SPENCER 1855 – 1936 . William and Jane appear on the 1850 Census for Sarcoxie, Jasper Co., Missouri. Pro-Union in sympathy, they were forced to leave Jasper County and appear on the May 5, 1865 Census for Mound City, Linn Co., Kansas, about 59 miles from Kansas City. They returned to Jasper County after the war and on November 10, 1870, Jane Angel Spencer died. She is buried in the Moss Springs Cemetery. In 1876, William and Elizabeth were married. Their son William Hayes Spencer was born in 1877. And after their son was born Elizabeth acquired the roving eye once again and started thinking about her options. She did not want to stay married to William Spencer and have any more children by him. She left the Spencer baby with William and taking her own children from her first and second marriages, she probably headed for her brother’s house in Kansas. Francis Marion Foster was living in Cherokee, Montgomery Co., Kansas in 1875 but by 1880, he was in Coffeyville, Montgomery Co., Kansas. William Spencer’s daughter, Milly E. Spencer, was in William’s household, along with a hired girl by the name of Lillie F. Slavens in 1880. William Spencer (age 62) Elizabeth (age 39) [William’s wife] William Hayes (age 3) Lilly F. Slavens (age 16)-the hired servant Milly E. Spencer (age 27)-William’s daughter 2 Baby Spencer Girls (1 month old)-William and Elizabeth are designated the parents. Elizabeth is described as debilitated and unable to leave her bed. She is supposed to have dysentery (called “flux” on the record). Not only that, the person giving the information knew very little about Elizabeth. According to the census record, Elizabeth was born in Indiana–she was actually born in Tennessee. The census record indicates Elizabeth’s parents were born in North Carolina. Both of Elizabeth’s parents were born in South Carolina. I don’t believe Elizabeth was in the house at all, based on the second record. Elizabeth Ady (age 39) Thomas A. Jones (age 18)-son Hettie D. Jones (age 16)-daughter William H. Jones (age 13)-son John C. Jones (age 8)-son Earl E. Jones (age 5)-son. Her next door neighbor is Edward S. Pike, the deputy sheriff referred to in the newspaper account of the grand jury investigation. (See Part 1 of this article). J. B. Buchanan also appears on the same street. Another curiosity about this situation centers around the two unnamed one-month-old twin baby girl Spencers in William Spencer’s household on the 1880 Census. They would have been born in May. The grand jury investigation was the month before that in early April. If Elizabeth had been the mother, she would have been pregnant when she testified before the grand jury. If they were her babies, then she had them delivered to William Spencer after they were born. She was already living in Carthage in early April and not at William Spencer’s farm. Perhaps they had an agreement between them. He would provide her with a house in town if she would give him the child after it was born and trouble him no further. (They probably didn’t know that two children were expected.) She appears to have gladly given them up. William Hayes Spencer (who was 3 years old in 1880) also stayed with William. I think she also agreed not to use the Spencer name. And perhaps the Jones family did not want her using their name either. So, she became Elizabeth Ady once again. Sources in Kansas may have informed her that A.J. Ady had left for Colorado and was no longer in the area. William Spencer died December 23, 1888 in Jasper Co., Missouri and is buried next to his first wife, Jane Angel Spencer, in the Moss Springs Cemetery. The charges against him and the other men in the John Bass Jones murder were never filed because of the lack of evidence against them. I do not know what happened to his daughter, Milly E. Spencer, who was taking care of the young children, or to the young children. The two infants may not have survived. William Hayes Spencer may have grown to maturity, but I don’t think he remained in the Jasper County area. And true to Elizabeth’s nature, she did not remain Elizabeth Ady very long. According to the 1850 Census for Brandon Tp, Rensselaer Co., New York, William Beman was the son of Martin Beman (b. 1810, Vermont) and his wife Laura (b. 1813, Vermont). William appears on that census at age 20, and he is listed as a laborer. He also has a 16 year-old sister named Laura. Both William and his sister were born in New York . By 1860, William resided in Wisconsin, where he appears on the 1860 Census for Farmington, Jefferson County, Wisconsin with a 22 year-old-wife named Mary. William is described as a railroad laborer. A Conner family resides with them, whose head, Migane Conner, also works for the railroad. The Bemans next appear on the 1870 census for Washington, Daviess Co., Indiana, where William appears as a “roade master.” (He worked for the railroad.) His wife Mary, is still listed with him. William and Mary Beman do not have any children. Finally, William Beman and his wife Mary appear on the 1880 Census for Boonville, Cooper Co., Missouri, where William is listed as a railroad track repairer. Mary must have died by 1885, and William moved over to Jasper County, where he settled in Carl Junction, a town that is west of Carthage. And that’s where he met Elizabeth Foster Jones Spencer Ady. After establishing herself in Carthage, Elizabeth was probably seeking less excitement and more stability. At the same time, she didn’t want to marry another farmer. She liked city life and had no desire to move back to the country. Her children were growing up and more than anything else, she did not want to live alone. And that’s when she met William Beman. Apparently, he was exactly the man she was seeking. He had the same gift of gab that attracted her originally to Andrew J. Ady and no ambitions for farming whatsoever-or so she thought! William had lived many places and experienced many things, and his stories could entertain her for hours. They were married August 11, 1886 in Carthage, Jasper Co., Missouri. The 1900 Census finds them in Twin Grove, Jasper Co., Missouri, where William is listed as a farmer! The census record indicates that he was born in August 1829 in New York and that Elizabeth was born in November 1840 in Tennessee. Elizabeth’s 16-year-old-grandson, Earl Jones, (who was born September 1883 in Missouri) was living with them in 1900. His parents were Thomas A. and Nancy Jones (Elizabeth’s oldest son). Thomas and Nancy were married May 7, 1881, although he seems to have had two marriages. His second wife was Mary Sabrit Thornhill. Thomas died in Carthage, Missouri October 12, 1942. Hettie D. Jones, (b. 1864) who appears on the 1880 Census in the Elizabeth Ady household. No further information. She may have died by 1900. William H. Jones (age 33) and his wife Albirdia (age 30) appear on the 1900 Census, Twin Grove Tp., (Carl Junction), Jasper Co., Missouri with their children: Glen R. Jones (age 10) and Neal Jones (age 1). Some family records on Ancestry.com state that William had two marriages and that his first wife’s name was Amy. However, William and Alberta were married November 6, 1889 in Jasper County. William H. and Alberta appear on the 1920 Census for Jackson Tp., Jasper Co., Missouri with their children: Neal C. Jones (Age 20) and Walter L. Jones (age 12). William H. Jones died in Jasper Co., Missouri in 1939. John C. Jones (age 48) appears on the 1920 Census for Pineville, McDonald Co., Missouri with his wife Hattie (age 46) and their children: Ray Jones (age 24); William Jones (age 22); Charles Jones (age 19); Louis Jones (age 18); Grace Jones (age 15); Harold Jones (age 9). John Charles Jones died June 27, 1924 in Pineville, McDonald Co., Missouri. Earl E. Jones, (b. 1875) who appears on the 1880 Census in the Elizabeth Ady household. No further information. He may have died young. I believe William Beman died shortly after the 1900 Census since I could find nothing further about him. Apparently the Bemans returned to Daviess Co., Indiana shortly after the 1900 census was taken. William had lived there previously. The July 3, 1902 issue of the Carthage Press notes the following: Fidelity–Elizabeth, wife of William Spencer, formerly of this place, but now of Indiana, died Sunday, June 22. Thus ends the odyssey of Elizabeth Foster Jones Spencer Ady Beman. But the question still remains: Who killed John Bass Jones? The whole grand jury investigation against the Jasper County men the Spring of 1880 was prompted by political motives on the part of certain individuals who wanted to take control of City Hall and eliminate potential challenges. The grand jury investigation occurred in April 1880. Elizabeth Ady significantly altered her testimony from that originally given at the coroner’s inquest shortly after the death of John Bass Jones. In 1867, she told the coroner’s jury and everyone else who would listen to her that she didn’t recognize any of the men who came to the door. They were all strangers and none of them wore masks. At the grand jury investigation in April 1880, however, she named names-although she didn’t name William Spencer–and she also threw in the information about living on Red Hot Street in Galena, Kansas. “The war between the towns became so bad that the main connecting link between the two cities became known as “Red Hot Street,” when feuding became so intense that doctors and undertakers began working nights and sleeping during the days. This feud, coupled with the countless miners, transients, and outlaws hiding within its midst provided a hotbed for violence. In this section of the town were innumerable saloons and gambling halls that catered to murderers, outlaws, and gamblers. During this time, many hardworking miners were lured inside to lose their hard earned gold at the gaming tables and other questionable pastimes. Some were never seen again”. Elizabeth tossed in her reference to “Red Hot Street” during her 1880 testimony as a taunt-and probably as a way of embarrassing and/or mortifying William Spencer! I am certain she found enough excitement in southeast Kansas to fill her day without visiting Red Hot Street! My name is D. S. Moss. I live on Jones Creek, seven miles southeast of Carthage; lived there since 1866. In 1867 Wm. Hood lived about two miles south of Mr. J. D. Jones, and one quarter of a mile from me, and Wm. Boss lived about three miles from me, and David Collins lived five and a half or six miles and James Greer about five miles, a little east of south. They all lived up Jones Creek from where I lived. Knew Wm. Spencer; he lived about one mile north and east of where I lived. I have seen John Bass Jones when he was a boy; saw him in 1867–in March 1867. John Bass and James Henry Jones stopped at my home; I did not see John Bass again till the morning of the 17th of April, 1867; he was laying in the road; he had been shot. Think there was eleven holes in his body. Think the shot in the head and the one in the heart would have produced death. Knew Boss; saw him first in 1866. Defendants all identified. Have known Wm. Spencer from my boyhood. I heard Wm. Boss say that John Bass Jones had made some remarkable threats against us blank Republicans that lived on Jones Creek; that he, Boss, had played off on Jones as a Democrat, and Jones had told him that he would go down to Arkansas and get a company of bushwhackers, and clean out all union men on Jones Creek. About the week after this conversation–Boss belonged to a society we had down there for mutual protection against thieves–we had a meeting, and Boss was there. I was chairman, and Boss said something about Jones. I don’t know who was vice president. ??? to Boss we were not attending to ??? Joneses then. Mr. Smith and Mr. Samuels made use of some abrupt language, and I got up and left. The whole incident appears to have started with a rumor. John Bass Jones may or may not have actually made that statement, or he may have made a statement that was perceived by others as an actual threat. Someone took his threat seriously and hired a group of killers to kill him. No one recognized any of the men in the original coroner’s inquest of 1867. They were strangers from outside the community. They may have even been hired by someone from inside or outside the community who was either worried about John Bass Jones’ permanent residence in Jasper County or who was hoping to cause trouble in Jasper County. Perhaps at some future date a deathbed confession will emerge from some dusty trunk that will solve the mystery. Newton Jasper Spence Family Records. Mora Spence. Ca. 1995. Thank you so much for this! Andrew J Ady was my great grandfather, my grandmother, Esther H. Marshall (nee Ady) was the eldest daughter of Andrew and his second wife, Amelia H. Ziese. I have a vague recollection of my grandmother saying that her mother left her husband in Oklahoma (?) and brought the children to Washington State. In Lynden, WA Amelia supposedly married a man surnamed Miller (I found something that indicated “Amelia H Ziese married ?Miller” and no date!!) In truth, the Miller descendants and our family were quite friendly. Sorry for rambling, it’s after 3:00 am and I’m so amazed I found so much here on your site about my great grandfather my grandmother never really talked about.